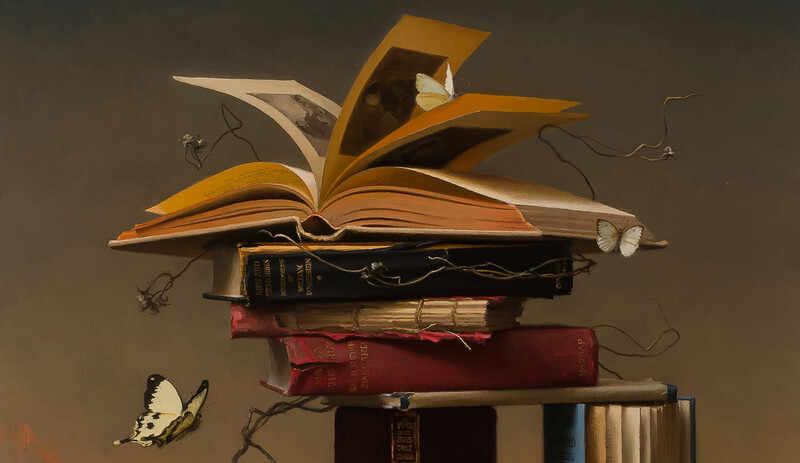 Steven J. Levin is a contemporary American artist trained in the atelier system patterned after methods used in 19th century Paris. 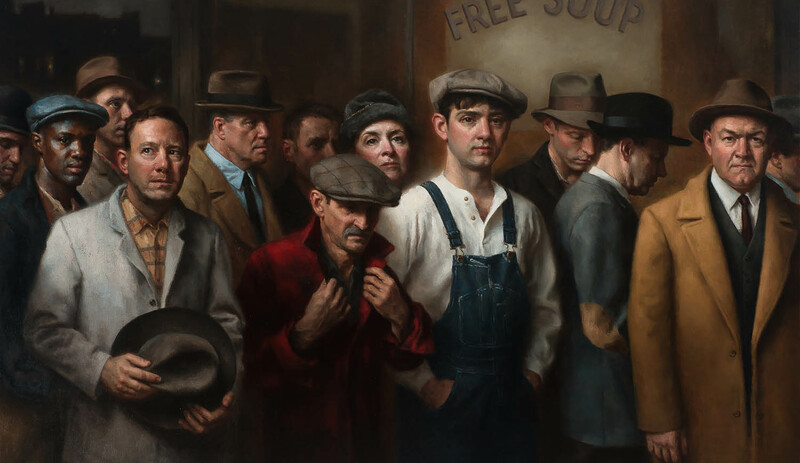 He is associated with the group of artists known as classical realists, who trace an artistic lineage back to the Boston School painters working at the turn of the century. Levin’s work explores light and form and evidences a deep respect for the art of the old masters. His paintings can be contemplative, whimsical, or transcendent; throughout all his work there is a reverence for beauty. 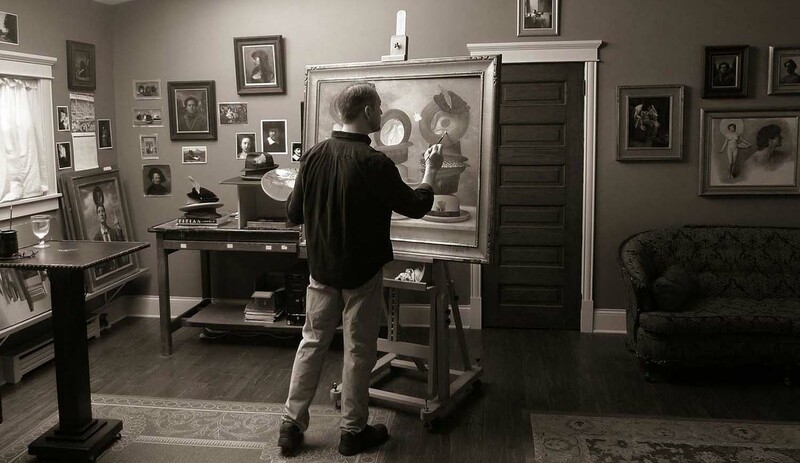 Welcome to the website of Steven J. Levin, classical oil painter. 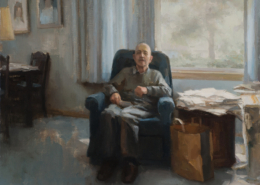 Levin’s evocative works offer a unique vision to traditional and contemporary subjects. There is a discernible resonance here with the motifs of a classical painter but there is also a modern current to the works that is at times whimsical and always compelling. 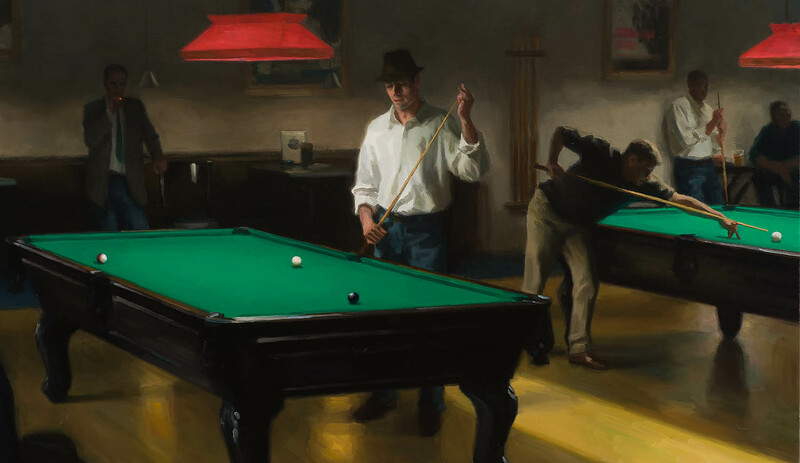 The moods of these paintings vary from the dark interiors of a billiard hall, where figures lean intently under pools of light, and on to the cool brilliance of an afternoon at the Metropolitan Museum, or to the surreal symbolism of an office building’s revolving door. You are invited to explore and enjoy. – John Pence, Founder, John Pence Gallery of San Francisco. 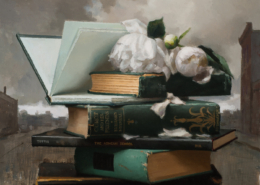 New works from the studio of classical painter Steven J. Levin.